The Gottman Method is a highly effective approach to relationship and marriage counseling that can help couples recognize, understand and change negative patterns of interacting in their relationships. Based in extensive research and scientific data, this groundbreaking approach offers couples the insight and support needed to develop a solid, stable relationship built on renewed care, affection and trust. In the 1970’s, Drs. John Gottman and Robert Levenson began to study couples. They wanted to know what made marriages succeed or fail. Probably the most innovative aspects of their approach was that they systematically observed and recorded data to determine what their subjects were actually doing. Over the past 40+ years, they have studied newlyweds, cohabitating couples, new parents, long-term marrieds, LGBT couples, couples challenged with poverty, and couples dealing with domestic violence. They studied not only how these individuals spoke about their partners and their relationships, but also how their heart rates, body language, and stress hormones changed as they answered questions about love and marriage and had events-of-the-day and conflict discussions with each other. In 1986, Gottman and his colleagues built an apartment laboratory at the University of Washington, dubbed “The Love Lab” by the media. The apartment overlooked the lake and was just like a lovely bed and breakfast, except that there were 3 video cameras bolted to the walls, recording the couple’s every word, move, facial expression, and interaction for 12 hours of their stay. From a vast collection of observations, Gottman, Levenson and colleagues were able to compile previously undiscovered information about what differentiates those who make marriage work well (“Masters of Marriage”) from those whose relationships end in dissatisfaction or separation (“Disasters of Marriage”). 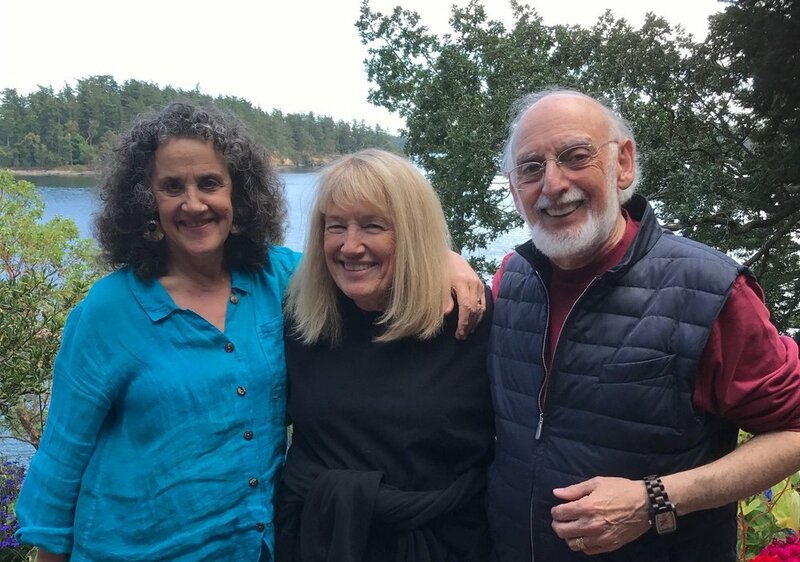 In 1994, Gottman and his wife, Dr. Julie Schwartz-Gottman, translated this groundbreaking data and modeled it into a therapy method that helps couples rebuild their relationships and emulate the Masters of Marriage. And, Masters of Marriage weren’t just “okay” or “content.” Rather, these couples knew how to strengthen their relationships, create a positive “emotional bank account” of mutual care and respect, manage conflict and sustain friendship and affection. These couples also understood how to support each other’s individual dreams while building shared meaning systems that they pursued together. The Gottman Method can help you and your partner do the same. While creating The Gottman Method, the Gottmans have continued to integrate other methods and theories backed by sound empirical evidence into their model for therapy with couples. Meanwhile, research and theory from The Gottman Institute spread across the therapy community and began to reach the general public. By the late 1990’s, Gottman had gained a broad reputation for his ability to predict a couple’s likelihood of divorce with over 90% accuracy. Today, couples therapists continue to study and use The Gottman Method because it works. Unlike other approaches to couples counseling, The Gottman Method is entirely based on data. That means we will not be telling you and your partner what we think you should do. Instead, we will base our work together on a thorough assessment of your unique relationship and draw from research that illuminates the proven habits of the Masters of Marriage. Assessment is the first component of Gottman Method Couples Therapy. We will meet with you and your partner for an initial interview together and then see each of you individually once. You will talk about why you’re coming to therapy and what you hope to get out of your experience. You and your partner will each have a chance to share your personal history and background. Then, you will each be asked to fill out an online assessment, The Gottman Relationship Checkup, which includes questions about how well you know one another, how you support one another, how you manage conflict and what beliefs and myths you carry about love. You will also be asked to describe how you perceive your current relationship, along with the nature of relationships in general. Finally, we will meet with you back together to review information gathered in person and from the Relationship Checkup in order to collaboratively formulate an individually tailored plan going forward to achieve your goals. Together, we will investigate how fondness, admiration, conflict resolution, support and more are operating in your relationship. We will identify the strengths in your relationship, as well as pinpoint areas to work on. And, throughout the process, precedence will be given to your perceptions, even if it differs from our initial impressions from the questionnaire or interview data. In other words, your perceptions, experiences and needs are an integral part of treatment planning and therapy. Our goal is not to tell you what to do, but rather to help you and your partner learn and grow together, both in sessions and at home. We will also help you understand what the Gottman research shows about happy, healthy and long-lasting relationships. For example, Gottman and Levenson found that criticism, defensiveness, contempt and stonewalling (or shutting down) cause the most damage in relationships. If you and your partner are experiencing these issues, we can help you formulate a plan to make a positive change in your dynamic and overall connection. We can also help you understand how relationship conflict affects hormones in the body, leading to feelings of overwhelm and reactivity. The Gottman research also shows that most people struggle to actively listen and effectively communicate when they feel hurt. Instead, they feel combative, defensive or evasive, heightening conflict rather than resolving it. We can discuss which situations or conversations cause you and/or your partner to feel flooded and help you develop strategies to regain calm, take a “break” from conflict and return to a discussion when you feel grounded and balanced. And, in the safe space of the therapy room, you and your partner can practice and refine positive, productive communication techniques. Gottman couples therapy can help you and your partner build a “Sound Relationship House” on a solid foundation of trust and commitment. You can learn to maintain awareness of your partner’s inner life and experience, share fondness and admiration, turn toward each other in day-to-day moments and in challenging times, develop friendship and manage conflict through communication, compromise and self-soothing. You can come together to support each other’s life dreams and goals. With research-based tools, it is possible to find and foster a shared sense of meaning in your relationship and live as a connected, loving team. Dr. Nancy Young, the founder of Pathways to Wellness, was drawn to The Gottman Method because it was the first comprehensive relationship counseling model with a solid research base. Today, she is certified in Gottman Method Couples Therapy and leads Art and Science of Love Couples Workshops. She also trains other therapists in the method as a Master Trainer for The Gottman Institute, teaching Level 1, 2 and 3 and providing consultation for clinicians working toward certification. Each therapist at Pathways to Wellness is trained in Gottman therapy. Our therapists are compassionate and present, and each brings his or her own experience and artistry to their sessions. First and foremost, we will prioritize developing a trusting connection with you and your partner, creating the safe, nonjudgmental space you need to discover or rediscover the connection and love you want. It is possible to create the relationship you long for. We invite you to call us at 714-432-9856 today to set up an appointment.